There are a lot of different reasons that make commercial truck driving one of the most unique careers in the country. Various types of employees are required to drive as part of their job description, but they’re just visitors in a world of real veteran drivers. It’s quite often that drivers need to treat their truck as more than just their transportation. When you’re required to drive for hundreds and hundreds of miles on end, it’s more than just a truck; it’s your home on wheels! This guide covers the different areas of customization for semi trucks. While we talk about custom painting, interior mods, and exterior equipment; our company, Robmar Plastics, only provides poly semi fenders. It’s not hard to imagine why a lot of drivers will spend most of their budget on the elements that can be seen on the outside of the truck. That is obviously what is going to make an impression. There are only a privileged few who will actually have the honor of climbing up into the cab themselves. Exterior mods can add functionality or protections, but sometimes they’re just about making a statement. 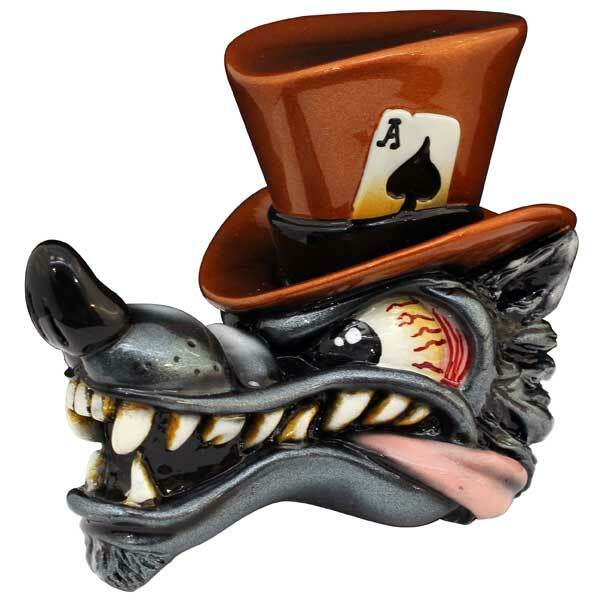 Custom paint jobs, lighting installations, chrome parts, fenders, wheels, and even hood ornaments are popular choices when you’re ready to start adding your own personal touch. We recommend sitting down with a pencil and paper to plan out your customizations budget. If you’re not careful, you could easily end up spending a lot more than you bargained for. Consider what is most important to you. Obviously, if you have any safety concerns, those should be on the top of your list. Below are some of the most popular areas to think about. One of the most obvious and eye-catching personalizations are customized paint jobs. Some drivers may think of fully switching over to a new color when they consider getting paint work done while others are dreaming about something a little more flashy like hand painted art effects. 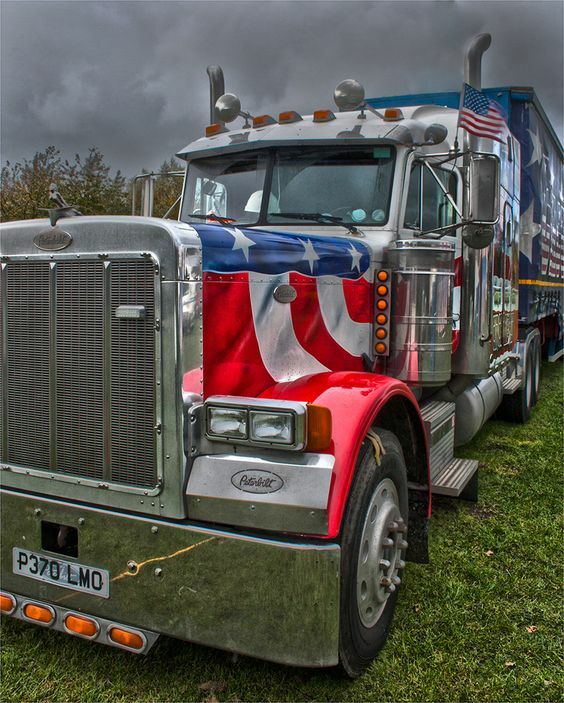 Check out this jaw-dropping, totally patriotic Peterbilt. Or for something with a little more subtlety with just as much style, check out this black and silver International with a little orange stripe detail that does a good job of highlighting the signature orange in the International logo. Many drivers are limited as far as how flashy they can go with their paint. 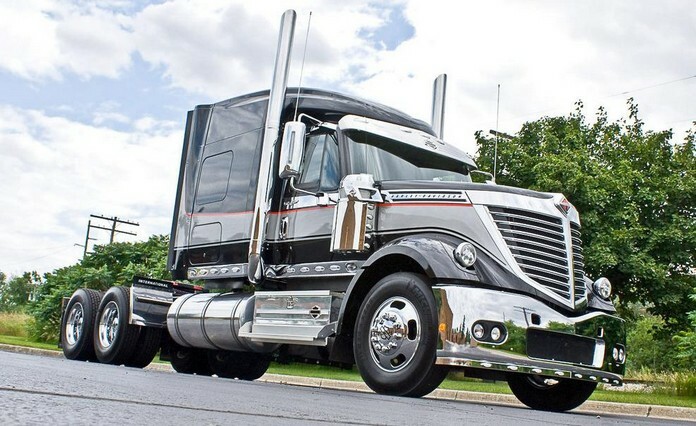 Depending on what you’re hauling and who you drive for, you may want to stay on the conservative side with your new paint. While custom paint jobs are one of the best ways to improve the appearance of your truck, they surly aren’t cheap (especially for high quality work.) It may be your best bet to find someone local that has a good reputation. If you’re in Arizona, we’ve heard great things about All Pro Fleet Painting’s work. They have some huge painting booths that are perfect for nearly any size truck. How Much Will A New Paint Job Cost? If you’re serious about getting some new paint on the truck, you’ve got to be wondering how much this is going to cost you. 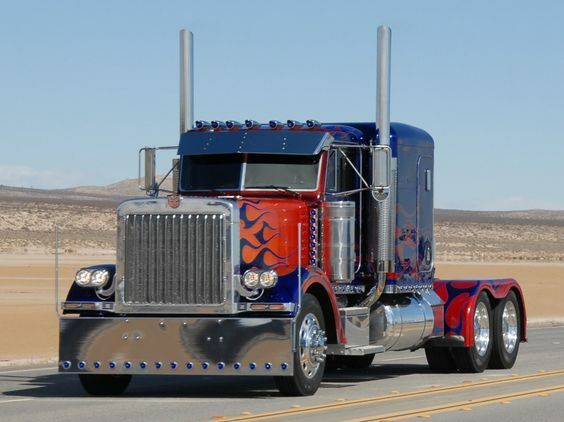 There are obviously a lot of different factors that go into the final cost of a paint job; model of truck, area of the country, which paint booth, how many colors, level of detail, and artwork. You can usually get a better price by offering to remove the stacks, visors, mirrors, grill, and lights yourself. This can cut down on the labor time for the paint booth. Headlights, turn signals, and break lights are obviously mandatory when it comes to lighting your truck. However, every veteran driver with a sense of style knows that those are just beginner level when it comes to lighting up your lane with a little bit of personality. When the sun goes down you can’t see your fancy paint job or any shiny chrome, but that doesn’t mean fun time is over until the sun comes back up. This is where your lighting can finally take over! 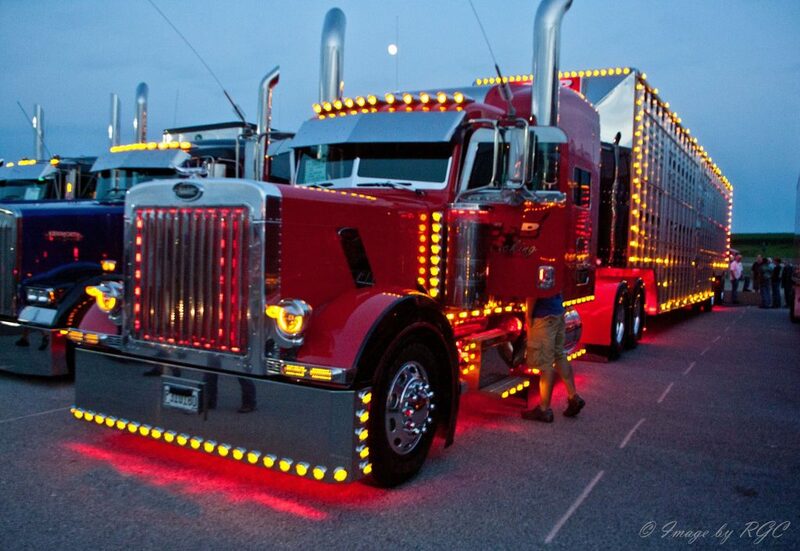 This Peterbilt is lit up like the 4th of July: complete with cab chicken lights, trailer lights, and a lot of other custom led light installations that really make this truck POP! 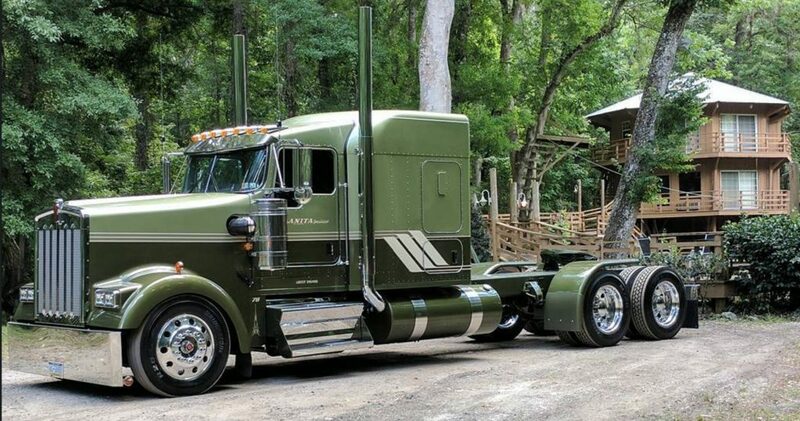 This green Kenworth had installed some grill and under body lighting that does a good job of nearly matching up with the paint color of the truck. I would have to dub this truck the “Green Goblin” if it were mine. LED Light Bars are a great way to quickly and easily add aftermarket lighting to your truck in a way that has a neat and organized appearance. 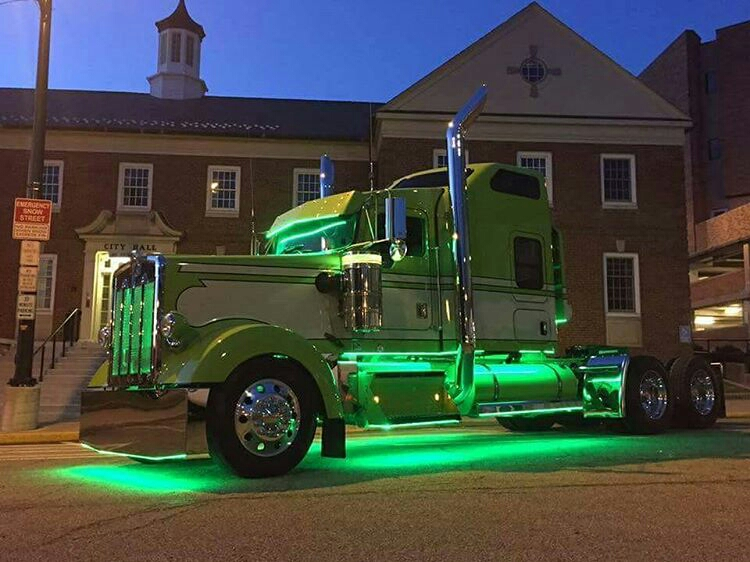 If you’re looking to add a lot of lighting around the cab and sleeper, you might want to find some custom products that are designed to work with your type of truck. You can get light bars fairly cheap too. They start around $25 and go up from there. Chicken Light Kits are the next step in adding customized panels to your truck that provide a surface for additional lighting. These do a great job of outlining your cab and giving your truck a very cool and unique look at night. You can buy the different panels piece by piece, there’s no reason to have to trick out the entire truck at once. Unless your budget permits, then go for it! Everyone knows a driver that is really serious about their chrome. There are chrome parts that you can buy for almost every single area on the truck. Some of the most common areas for chrome installation are the front grille/bumper, exhaust, tool boxes, gas tanks, and window trim. 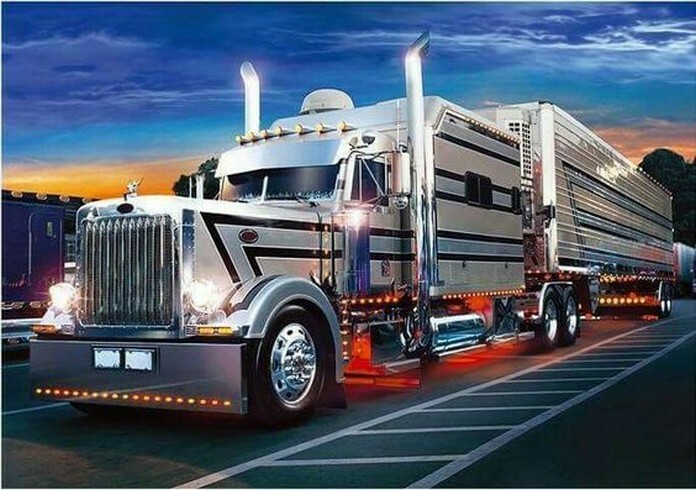 However, you could almost completely cover your rig in chrome if that’s what your style was! The cabin, cockpit, battle station, drivers seat, no matter what you call it – this is your home on the road. There are a variety of products you can add or tweaks you can make to ensure that this area is a great place to be. Some of the major elements to think about when outfitting your cabin are; work productivity, comfort, and personal health. You could blow your whole customization budget on paint, lights, and chrome before evening thinking about upgrading anything on the interior. There are a lot of drivers out there who would agree that that’s a big mistake. It’s great to have a nice looking truck, but considering that you’re going to be spending all of your time on the inside looking out, you don’t want to forget about your interior! 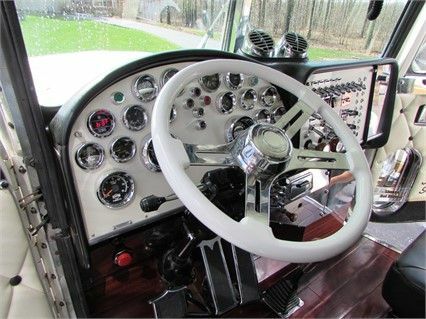 There are a million different ways you can change things up inside the cab and the sleeper (if your truck has one). When you’re spending hundreds of hours per month driving from state to state, the right seat can make all the difference. A budget friendly option to spruce up an old worn out seat is to add a seat cover. If your seat is too far passed its prime, you might want to consider replacing it entirely with something that’s more comfortable and probably safer too. 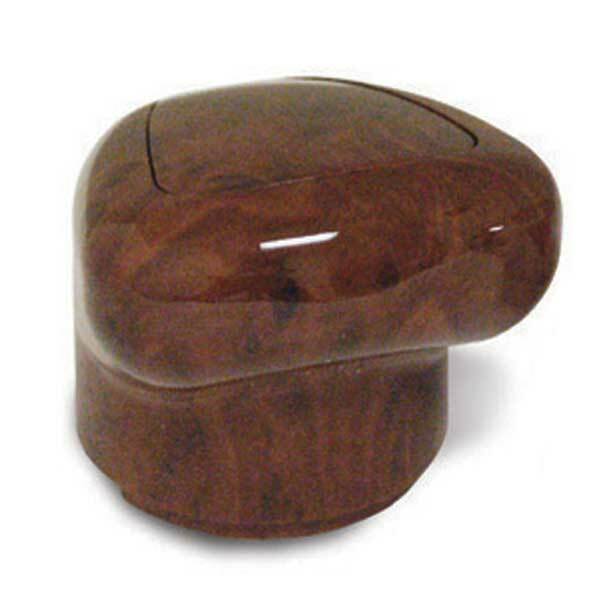 Bostrom, Knoedler, and Prime are great seating companies to consider. 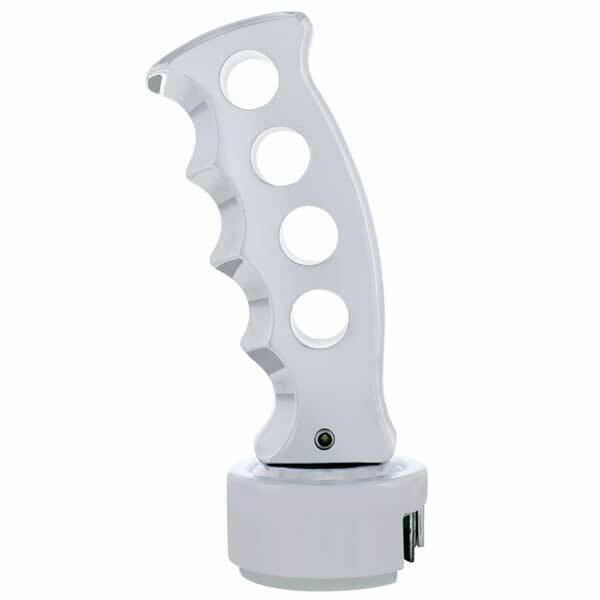 The steering wheel and shifter knob are points of nearly constant contact for drivers. You’re going to want something with an ergonomic design, but also something that looks cool too. There are endless options ranging from choices that are practical to some that are more on the flashy side. Finding and installation interior electronics can make all the difference when it comes to staying happy and healthy inside the truck. They can help you do your job better as well. If you’re spending a lot of time on the road, you know that it can be hard to find good quality meals. 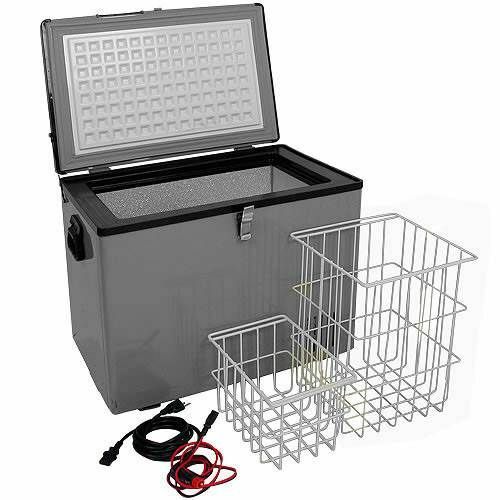 It makes it a lot easier when you have a small fridge or other kitchen appliances. A 12v slow cooker can be a great option because it doesn’t require a lot of prep work and it also makes delicious meals. Consider getting a laptop stand, especially if your employer requires you to keep your logs on a computer. It can make managing your space much easier. There are even some ‘no-drill’ options that make the installation much less of a headache. Semi truck laptop stands start at about $200 and go up from there. Drivers know that there’s nothing worse than spraying mud all over a freshly washed truck with shiny, glossy paint. Not to mention that road spray can do a lot worse than just making your truck dirty. If your wheels aren’t covered you can be spraying water and throwing rocks all over the road. Don’t be surprised if you have a line of angry soccer moms following closely behind you. You can easily avoid this problem entirely and add some style to your truck with poly fenders. Plastic fenders are great because you don’t have to worry about them cracking or easily breaking from minor impacts which are bound to happen. Our fender systems are a great way to add protection and some style to your rig. You can even add some mud flaps for additional protection if needed. When you’re trying to prioritize your upgrades, think about the effect that each new part will have. Some parts are only going to provide a visual benefit. It’s possible that you would be better off selecting parts that have more of a practical function first. Fenders and mud flaps will help keep your truck clean and protect that rest of your upgrades. New tires can provide better traction to help reduce the chance of an accident in inclimate weather. A seating upgrade can provide upgraded safety in the unlikely event of an accident. These are all important things to consider when you lay out your budget for your new installations. No matter how you choose to customize your truck, it will never be a fully completed job. There’s always another part to consider or swap to think about. The most important part is that you make your truck exactly what you need it to be for style, safety, and most importantly the fun of it! 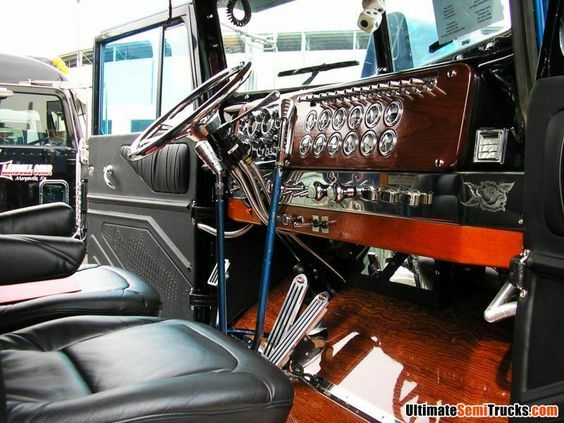 Do you have any recommendations for customizing your truck? How about anything that we missed? Leave a comment below. Not yet. But we’re looking into expanding in the area soon! 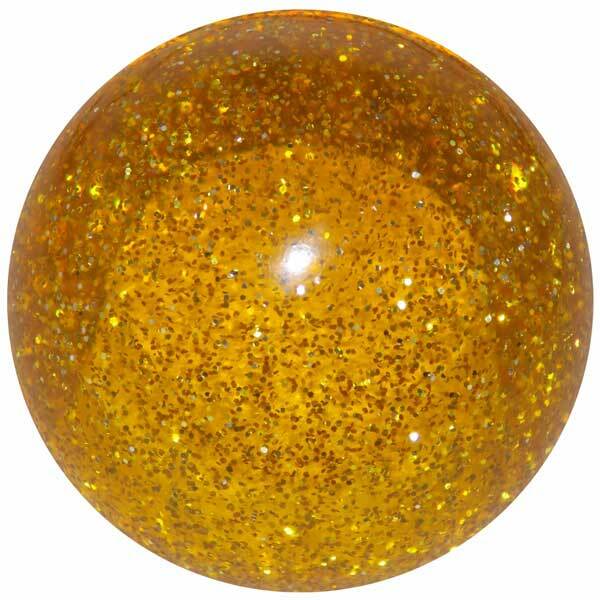 We’re located in central Michigan (Clare). We only offer poly fenders and installation kits. The other items that you mentioned you would have to find help with elsewhere. Please let me know if there are any questions we can answer.